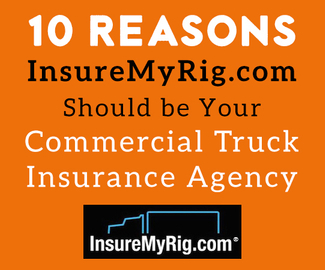 Why Choose Insure My Rig? What Is Semi Truck Physical Damage Semi Insurance? Experienced truckers know they have to be prepared for any event that could put their commercial truck and their livelihood out of commission. That includes everything from an accident to fire, foul weather, theft to vandalism. The best way to be prepared for the unexpected is to make sure you’re covered with Physical Damage Semi Truck Insurance. This trucking insurance, which is offered by the trucking insurance experts at InsureMyRig.com, protects your semi cab and trailer 24/7 and helps get you back on the road. How Does Physical Damage Truck Insurance Include? Deductible options range from $500 to $1,000 to $2,500. How Do I Get Physical Damage Truck Insurance and How Much Does It Cost? The cost of this insurance depends on the value of your equipment, the amount of your deductible and how many options you choose. So you do have some control over how much you spend. Where is the best place to purchase this coverage?, InsureMyRig.com has experienced Physical Damage Big Rig Insurance experts who can provide coverage anywhere in the U.S. to individual 18-wheeler drivers. Call us today or fill out an online quote. Am I Required By Law to Buy Physical Damage Semi Truck Insurance?